Just over two years ago, in February 2017, my wife Jacqueline and I booked flights to Morocco to spend 10 days exploring the country. Morocco had been on our radar of places to visit, so when the opportunity presented itself, we jumped on it. Fast-forward to December 31, 2017. At 11:00 pm., an hour before the deadline to apply to the Peace Corps, we submitted our applications as youth development specialists in Morocco. In the space of about nine months, our lives had completely shifted course... and in a totally unexpected direction. How did it happen? During our trip in April 2017, we spent time in Marrakech and Ouarzazate, and took a tour of Ait-Ben-Haddou, an ancient 7th-century city and UNESCO World Heritage Site, famous for its role in several Hollywood movies and shows, including "Game of Thrones." Our trip also took us to the Sahara desert, where we rode camels and slept in tents. 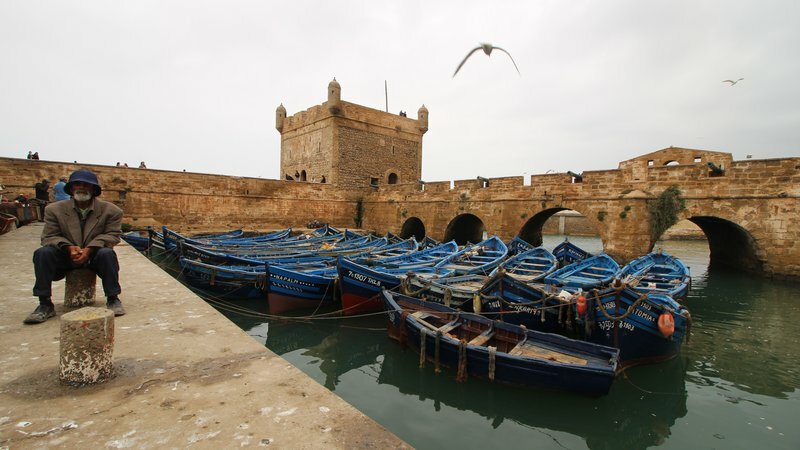 We explored the cities of Fes, Rabat, Casablanca and Essaouira, a port city and our favorite Moroccan city to date. We blown away by how unique and special the country was compared to anywhere we had visited before. Our trip left us eager to learn more about Moroccan culture. Dylan and Jacqueline took a ten-day tourist trip to Morocco in April 2017, a year before they were invited to serve as Peace Corps Volunteers in Morocco. After returning from our trip, I finished my master’s degree and started applying for jobs. Dozens of applications, phone calls and interviews over the course of a few months produced one unpromising job offer. By the end of 2017, my wife and I were both were at turning points in our careers. I was eager to transition to a position in digital marketing. Jacqueline was looking into the process of becoming a wilderness law enforcement officer. With little traction for either of us, I randomly started to scroll through Peace Corps Volunteer openings, reading job descriptions and requirements. I honestly could not tell you how or why I got to the Peace Corps website but when I saw the youth in development position in Morocco, I thought, Wow, what are the chances that the country my wife and I fell in love with has a position we’re both extremely qualified for? 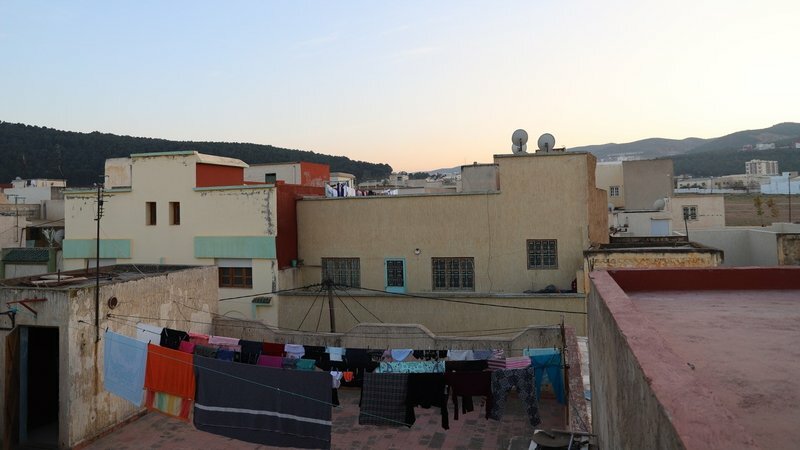 At that moment, worries about being jobless quickly turned to excitement about the opportunity to volunteer in Morocco. I discussed the position with Jacqueline, who shared my excitement. Jacqueline paints old tires with children as part of a community recycling project in Morocco. We started contemplating the decision to apply on December 15, 2017, a day or two after I came across the Volunteer opening. Five days later we got in touch with a recruiter, who recommended that we also apply for other countries given Morocco’s competitiveness and our decision to apply as a couple (The Peace Corps required us to qualify individually before we were considered as a couple). We later learned there were over 900 applicants for around 110 positions. On December 29 we began the process of writing our motivation statements, updating our resumes and starting the application. We were equal parts nervous and excited when we submitted our applications on December 31, but tried to be realistic. We thought our odds were low, given the date of our application, the competitiveness of the country, applying as a couple and our decision to apply for Morocco alone. We could have increased the likelihood of being accepted by being willing to serve anywhere the Peace Corps felt we could contribute, but we knew that whatever the outcome was, it was meant to be. A scene from Jacqueline and Dylan's community in Morocco. About a year after our tourist trip to Morocco, on February 20, we received the magical Peace Corps invitation to serve email and accepted two days later, on Jacqueline’s birthday. Even though our decision to apply came about quickly, a lot of research and thought went into it. The timing could not have been more perfect, and we felt there was no better way to give back to the country we cherished than by working with the next generation of leaders in Morocco. Before our departure, we spoke with several returned Volunteers who now work in different industries. 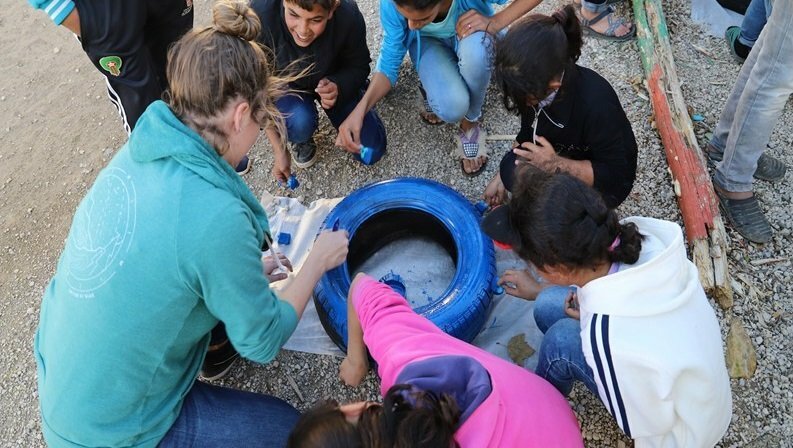 Regardless of their Peace Corps sector, they all felt service had a tremendous impact on their careers. Although my background in marketing doesn’t directly relate to the work I’m doing with youth in Morocco, I am developing countless soft skills like communication and flexibility, and will improve my technical skills by running a blog, joining the Peace Corps multimedia committee, and teaching media and technology to youth in camps and workshops. We are no longer tourists but Volunteers doing our best to integrate within our community, learn the language and immerse ourselves in the culture. In the end, we hope to have a lasting and meaningful impact, but until then, we are right where we are supposed to be. So, if you are second guessing your decision to apply because of the deadline, how competitive the country is or for any other reason, please use our story as inspiration and give it a shot! Dylan Thompson is a youth in development Volunteer in Morocco. He is serving with his wife, Jacqueline.